Long hair may be conventional, but never boring! If you are looking for new ways to amp up your long hair, look no further... We have for you 13 of the prettiest hairstyles for long hair! So whether it’s a big date or a fun lunch, a formal party or a day in office, you can take your pick! 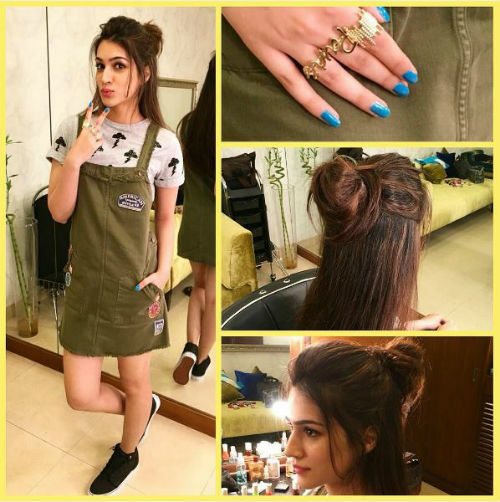 Image: Sanjana Batra on Instagram Kriti Sanon’s half-up, half-down hairstyle is perfect for college, isn’t it? We love the combination of straight and sleek with messy. If you’re on the lookout for a hairstyle that’ll make your long hair more manageable, we say you try this one out! Image: Hiral Bhatia on Instagram Fancy dinner to attend? Or a big date night? Instead of leaving your long hair down, why not try a twisted bun? This elegant hairstyle is sure to turn heads, so get ready to receive lots of compliments! Image: Sanam Ratansi on Instagram If you’re tired of just straightening or curling your hair, we say you go for something different this time. Aditi Rao Hydari’s frizzy, crimped hair, contrasted with the sleek, pulled-back look, is defining hair goals for us! 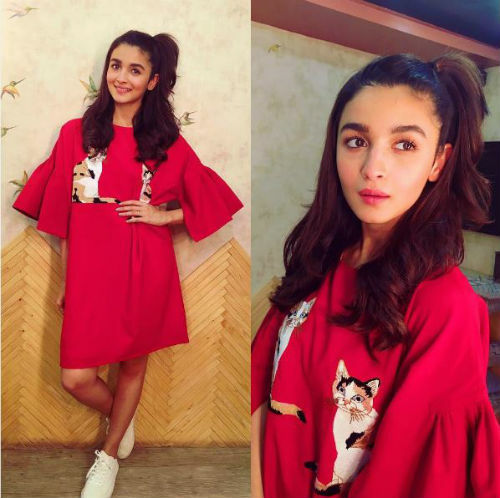 Image: Hiral Bhatia on Instagram You’re so lucky if you have long hair because you can rock the high ponytail like nobody else. Just reach out for that straightener and hair spray and get the sleek high ponytail. The best part about this easy hairstyle is that you can sport it anywhere, from date nights to office to that crazy party! 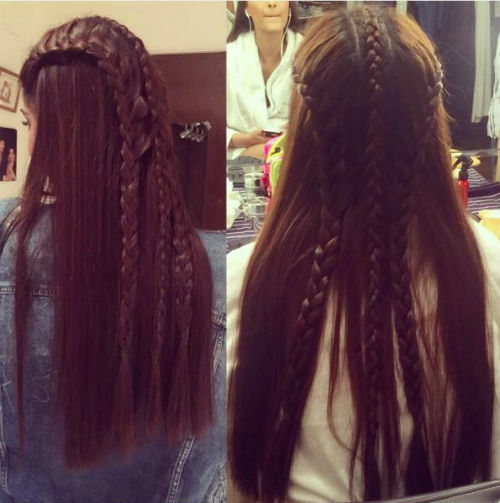 Image: Alia Bhatt on Instagram A fishtail braid requires long hair and a little bit of practice, but isn’t it so pretty? You can rock it with bangs or even with your hair pulled back neatly - it’ll look fab either way! 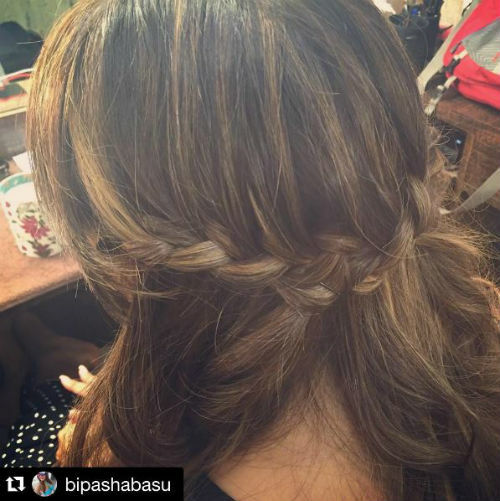 Image: Hiral Bhatia on Instagram A french braid that goes all the way around from one side to the other?! We love, love, love the concept and the fact that it allows you to leave your long hair open for the world to admire! Image: Parineeti Chopra on Instagram What a stunner! This hairstyle is perfect for medium to long hair. We love how the multiple braids pull the hair back on one side and the other side is left loose and flowy. It may take some time to master, but we know the effort will be well worth it! Image: Hiral Bhatia on Instagram We spotted this elaborate hairstyle with multiple crossover braids and instantly fell in love. What a fun and gorgeous look for a date or even a casual brunch! Image: Karisma Kapoor on Instagram A structured updo is always a good idea, especially for formal events. If you don’t want to leave your hair loose and open, we say go for this milkmaid-braids hairstyle. It gives off such Greek goddess vibes, doesn’t it? Image: Hiral Bhatia on Instagram It’s casual, it’s stylish and it keeps your hair in place. 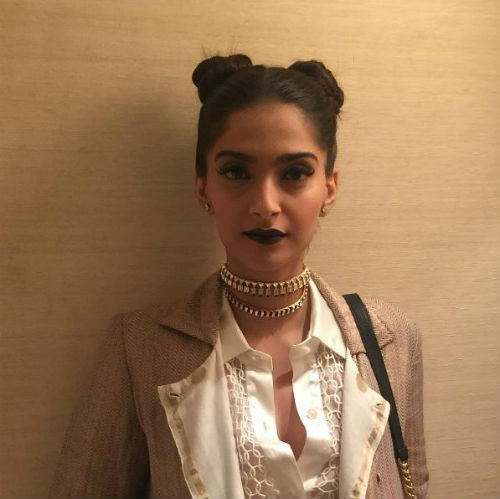 We love the two-buns look and, just like Sonam, can’t wait to rock it with dark lips and a statement choker necklace. Image: Shraddha Kapoor on Instagram This messy top knot is sure to up your style quotient by a hundred notches! It’s such an easy hairstyle to master too, so do give it a try! 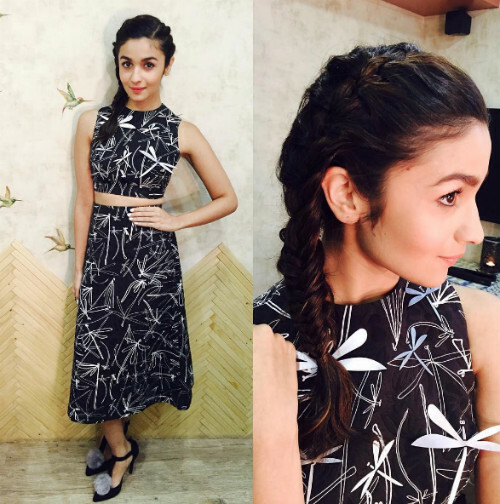 Image: Hiral Bhatia on Instagram A braid that starts from the nape of your neck, goes up and ends in a messy top knot? What’s not to like about this elaborate updo? You might need a little help in perfecting it, but think of how beautiful it'll look once it's ready! !